It is obvious that, in any wars, whatever scale and condition, strategic operations – the highest level of operations – have always been the decisive factor. However, this level of operations is not the one to conduct in any circumstances. In other words, it can only be carried out in certain stages of war as it depends on a number of factors in which the organizing and deploying forces are decisive factors to the realization of the goals and mission accomplishment of strategic operations and war. Reality from the past two resistance wars against the French colonialists and the US imperialists showed that, thanks to the sound and scientific organization and deployment of strategic combat force, particularly the strategic mobile force, we generated superior strength at decisive times, changing the complexity of war and gained ultimate victory. This is really a valuable lesson for the cause of national salvation war. However, in the future national salvation war (if occurs), components of strategic operations will have new developments, especially in the scale of force, combat method and level, weapons and equipment, etc. Therefore, studying military art in general and the organization and deployment of strategic combat force in particular is a necessity and should be done in a serious and thorough manner in both theory and practice. Firstly, it is necessary to flexibly, creatively organize and deploy on-spot forces relevant to each target and kind of strategic operations. This is very important to operations in general and strategic operations in particular. Because on-spot forces serve as the main component of local people’s war to realize the guideline of each locality exercising its own self-defense and together with other forces, they will participate in strategic operations. Especially, today, local forces are of increasingly important as they have had new developments in terms of component, scale, level of combat skill, weapons and equipment. 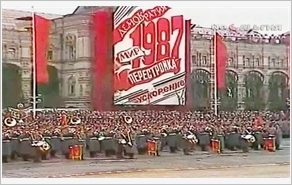 To thoroughly prepare for the on-spot forces, right in peace time, together with strengthening education and propaganda about the their role and position to strategic operations, it is necessary to have plans for organizing and using these forces in each locality and condition of operational and strategic operations in order to create a firm all people’s defense posture, ready to transform into people’s war posture in case of a war. Accordingly, in terms of organization, depending on each specific object, locality and mission requirement, the on-spot forces can be formed up as infantry battalions, regiments, or even divisions equipped with rather modern weapons, such as: mortars, low-altitude air-defense missiles, anti-tank missiles, etc. In terms of force deployment, it is possible to dispatch the forces according to different missions, such as: defense force, diversionary force, anti-air cavalry force, etc but they must be relevant to features of each type strategic operations. Secondly, enhancing the quality of organizing and deploying strategic mobile force in the new situation. Over the past years, attention has been paid to the development of this force with more relevant strength and more modern weapons, hence its combat capability and mobility have improved significantly, and its combat strength has been enhanced. However, to meet the high requirements of the national salvation war in the new situation, there should be in-depth renewals in the organizing and deploying this force to make it more effective. Accordingly, we should basically inherit the strategic mobile force organizational structure in the past and upgrade it to be relevant to features and conditions of a national salvation people’s war. In particular, basing on certain situation, it is possible to organize the combat forces into strategic combat groups. This is an contemporary model of organizing the combat forces, including: area strategic combat groups for strategic defensive operations and counter-attack and offensive mobile groups for strategic counter-attacks and offensive operations. It should be noted that these groups should not be formed independently in one direction or area but in connection with other forces and only be formed up right before strategic operations or during large scale joint force exercises. Therefore, the deployment of strategic combat groups must be conducted carefully and in accordance with a unified plan to ensure the comprehensiveness but with focal points. Accordingly, when conducting strategic operations, combined corps together with mobile forces: such as tank, artillery, engineering units, etc form up combat groups to carry out strategic operations and strategic decisive operations. Then, the mobile forces of the Air Defense and Air Force Service may form up their own groups and carry out air defense operations to protect crucial targets, the combat formation of combined force, the strategic transportation corridor, or carry out concentrated air defense and air force operations. The Navy, particularly mobile forces such as, surface warships, submarines, coastal defense missile, may form up their own mobile groups (fleets if possible)to carry out naval operations. However, in the condition of modern wars, the enemy would use modern weapons widespread, so the organization of strategic combat groups should be done in secret, surprised manner. It should be timely, correctly used and fast and effectively conduct operations while ensuring force protection so that they could be stronger after each operations to win the war. Thirdly, attaching importance to the organization and the use of forces of other ministries and agencies in the strategic operations. Unlike the previous wars, in the future salvation war, strategic operations are anticipated to occur in the very first stage in a wide area, even in a region or the whole country and could directly impact all aspects of social life. For this reason, involving forces of ministries and agencies in strategic operations play a key role. In recent years, though immense efforts has been made, ministries and agencies have not paid due attention to defense and military work. Their participation in the strategic exercises has also been limited without a thorough and systematic study in terms of force organization and deployment. In the coming time, together with propaganda and education to raise awareness for all levels of authorities, industries, agencies and people on this matter, the Party and State should direct ministries and agencies to actively coordinate with the Ministry of National Defense to build plan, mechanism for mobilizing human resources and facilities of their field for strategic operations. In particular, besides attaching importance to organization and deployment of forces of ministries and agencies in stabilizing political security situation, social safety and order and safeguarding people’s life in each locality, it is necessary to strengthen the coordination with and the participation of key agencies, such as: Transportation, Health, Communications, Foreign Trade, etc in strategic operations. In addition, it is necessary to have a close coordination among forces in the political, economic, diplomatic struggles during the war. Armed struggle in general, at strategic level in particular, plays crucial role in the whole war and the destiny of the nation, hence requiring the direct leadership, direction of the Party and State leaders. For this reason, it is necessary to study and specify further the operation mechanism of Party and State leaders in wars in general and in strategic operations in particular, especially the perfection of model and mechanism for leading and commanding in each direction of the battlefield and in each type of strategic operations. This is an important matter, making foundation for levels, agencies and forces to organize, practice and conduct exercises in peacetime, meeting the requirements of strategic operations and war in the new situation.